I am pleased to welcome Betty Owens to my blog today. Betty is a co-conspirator in the Mara Adkins adventure, A Dozen Apologies, along with ten other very talented authors. More about that later. December 14th, 2012, I was sitting in a crowded theater. The Hobbit was about to begin. My heart was beating hard and fast––too fast. I had difficulty breathing. I was more afraid than I’d ever been in my life. Was I going to die? I was having a panic attack. A few minutes into the movie, I left. This was just the beginning. I spiraled into a depression, worse than any I’d ever experienced. Christmas, usually a wonderful family time for me, was an ordeal to be endured. I had to do something. I didn’t want to go to my family doctor. In the past, he’d put me on medication for depression and told me I would be on it for the rest of my life. I stayed on it for a month, then slowly weaned myself back off. I would not be a slave to medication. I didn’t like how it made me feel. This time, I was determined to beat it with God’s help. I prayed. I read the Bible. I meditated God’s Word. Though I didn’t always feel like it, I forced myself to take part in fellowship with friends and family. Throughout all this, a word kept popping into my mind. Electrolytes. I don’t usually like sweet drinks, so Gaterade was not something I wanted to drink––at all. I found one that was less sweet and drank several over the next few days. Even though it was midwinter, I bundled up and got outside in the sunshine. I went for long, leisurely walks whenever weather permitted. In bad weather, I went to a mall or department store and strolled around. I made an effort to eat right, and drink more water. I took supplements like vitamin D3 and C. I scanned the aisles of our favorite health food store and picked out herbal teas and supplements specifically for depression. Among these, GABA, Tulsi, and Aswagandha. I began to pray for others. Many of my Facebook friends were going through painful illnesses and losses. I spoke words of encouragement to them and not only promised to pray, I did pray. Slowly, I began to improve. The days were not so painful. I slept most nights. But I was still afraid. Afraid the depression would never end. Afraid the panic attacks would return. Afraid I would lose control. Then one night, while I was meditating on God’s Word and praying, a scripture dropped into my heart. I was immediately convicted. I had not trusted God with my healing or my future. When I spoke the verse aloud, something happened. The Word established itself in my heart and I was no longer afraid. Over the next few days and then weeks, each time I felt fear, I focused my mind on this verse. Whenever possible, I spoke it aloud. It always had the same effect: peace. A year has passed. The holidays came and went. There’s been no return of the panic attacks or depression. Final note: If you suffer from depression, do see your doctor. There may be a physical reason for your pain. Eat better, exercise, and don’t neglect your spirit. Feed your soul and your spirit the Word of God. Meditate in it, day and night. Find a scripture like 1 John 4:18 you can stand on. Go to church, whether you feel like it or not. And don’t whine to everyone who’ll listen about all your troubles. Focus on God. Reach out to help others. Pray for those around you. Oh, and just in case you’re wondering, I did finally see The Hobbit. Born in the Pacific Northwest, Betty Owens grew up in such exotic places as West Tennessee and San Diego, California. She presently resides in Kentucky with her husband of thirty-nine mostly good years. They have three grown and married sons living in the area, along with three daughters-in-law, four beautiful granddaughters, and two handsome grandsons. Though she’d always had an interest in storytelling, her writing career began to take off in 1986. As a busy homeschooling mom, she needed an outlet for all the extra joy in the house. A few years passed, and she had several novel-length manuscripts squirreled away. 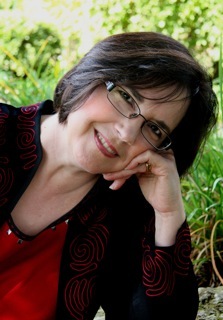 After self-publishing two fantasy-adventure novels, she attended a Christian writers’ conference in Kentucky then later joined American Christian Fiction Writers, hoping to learn more about the craft of writing. Now semiretired, Betty spends most of her time writing and studying about writing, critiquing other peoples’ writing, and caring for her mini-schnauzer granddog. 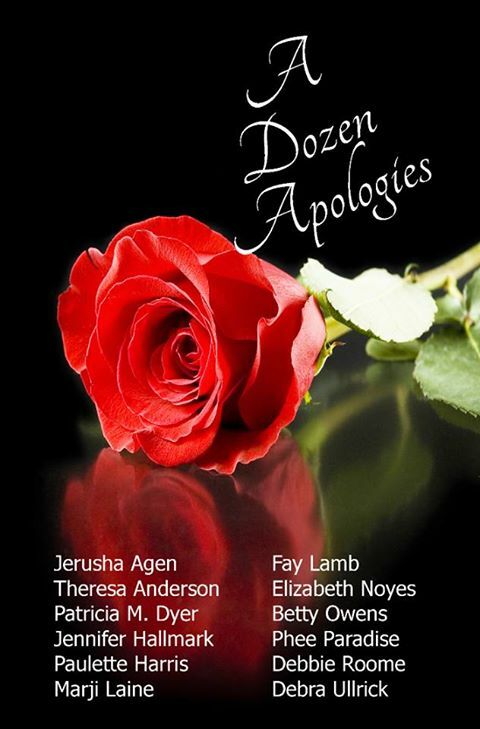 Betty most recently contributed to the collaborative novel A Dozen Apologies, which will be released as an ebook on Valentine’s Day. If you’d like to join the fun, visit http://writeintegrity.blogspot.com/. Not only will you be able to get a head start on reading it, you will be able to vote on your favorite hero. Then the entire ebook will be offered free Valentine’s Day weekend, so you can see if your favorite guy gets the girl! Mara Adkins, a promising fashion designer, has fallen off the ladder of success, and she can’t seem to get up. In college, she and her sorority sisters played an ugly game, and Mara was usually the winner. She’d date men she considered geeks, win their confidence, and then she’d dump them publicly. When Mara begins work for a prestigious clothing designer in New York, she gets her comeuppance. Her boyfriend steals her designs and wins a coveted position. He fires her, and she returns in shame to her home in Spartanburg, South Carolina, where life for others has changed for the better. This entry was posted on Wednesday, January 29th, 2014 at 1:00 AM and is filed under INSPIRATIONAL. You can follow any responses to this entry through the RSS 2.0 feed. You can leave a response, or trackback from your own site. Thanks so much Pat, for hosting me!